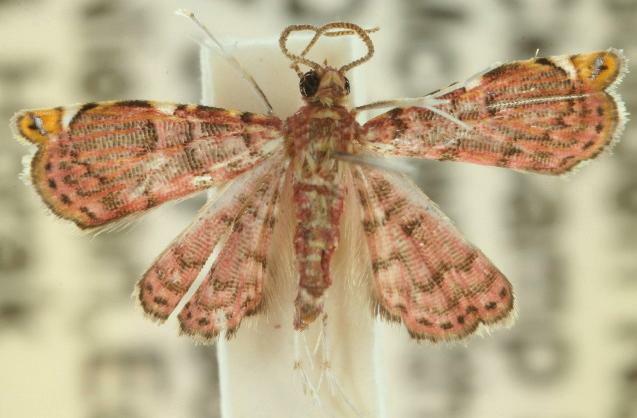 The adult moths of this species are pink, with a number of brown wiggly lines. The forewing tips each have a yellow area containing a black and white spot. There are some off-white spots of various sizes along each forewing costa. The wing margins are scalloped. The wingspan is about 1 cm. Volume 32 (1908), p. 85.